Bioimplantable sensor contains live cells engineered to detect specific biochemicals found in the body. A study revealed at this year’s Heart Rhythm Society Meeting presented the first in-human results of a leadless implantable pacemaker. The device is about the size of a AAA battery and is implanted in the right ventricle. A limitation of current pacemakers is the reliance on implantable leads that can fracture or become infected. This device is the first step toward developing leadless pacing technologies. It remains to be seen how clinically useful this device will be but is expected to be available in Europe later this year. A multidisciplinary Swiss team has developed a tiny implantable chip that can test blood and wirelessly transmit the information to doctors. Giovanni de Micheli and Sandro Carrara of École Polytechnique Fédérale de Lausanne (EPFL) invented the 14mm-long device. 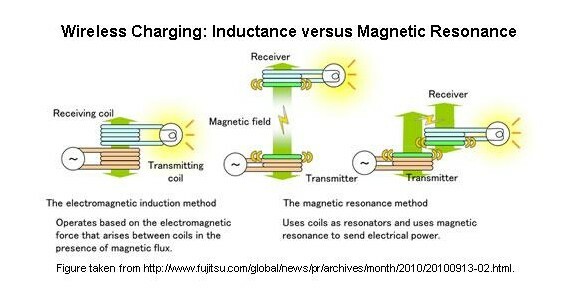 The device is a chip fitted with five sensors and a radio transmitter and is powered via inductive coupling with a battery patch worn outside the body delivering a tenth of a watt in energy. The chip is Bluetooth-equipped to transfer the data picked up by the chip’s radio signals. The researchers’ goals are to use the chip to monitor five different molecules which may represent five different disease states. This proof-of-concept device has exciting implications for the field of personalized medicine; each person’s biological signals can be recorded and therapy tailored for each individual. Advances in modern medicine are increasingly relying on electronic devices implanted inside the patient’s body. Nanotechnology allows us to create materials and coatings to construct these devices that are fully biocompatible. Researchers from the University of Illinois at Urbana-Champaign recently developed silk-silicon implantable microcircuits that begin to dissolve two weeks after implantation. These particular implantable devices were designed to produce heat to fight infection after surgery. When the device were implanted in mice, they found that infection was reduced and only faint traces of the device remained after three weeks. These transient implantable devices may have far-ranging applications not only in medicine but in reducing electronic waste. Researchers at the Fraunhofer Institute for Microelectronic Circuits and Systems IMS in Duisburg have developed an implantable biosensor that can measure glucose in sweat or tears obviating the need for needlesticks. An electrochemical reaction using glucose oxidase that converts glucose into hydrogen peroxide; this concentration can be measured with a potentiostat and these measurements are used to calculate the glucose level. 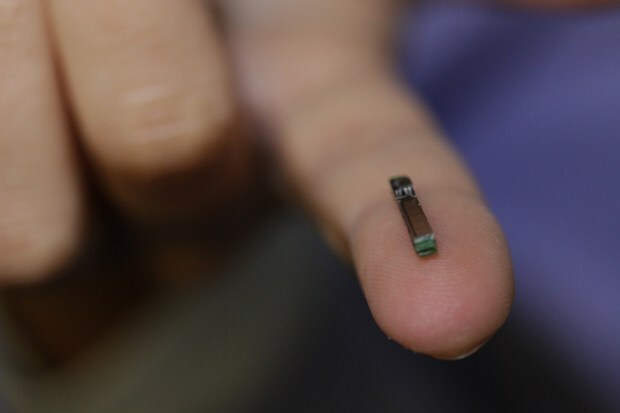 This biosensor has incorporated the entire diagnostic circuit into a fully implantable tiny sensor. The biosensor can transmit the data via a wireless interface to a mobile receiver or even smart phone. These researchers describe an amperometric sensor for the detection of ethanol in the extracellular fluid of animal brains. Ethanol is one of the most widespread psychotropic agents in western society. While its psychoactive effects are mainly associated to GABAergic and glutamatergic systems, the positive reinforcing properties of ethanol are related to activation of mesolimbic dopaminergic pathways resulting in a release of dopamine in the nucleus accumbens. Given these neurobiological implications, the detection of ethanol in brain extracellular fluid (ECF) is of great importance. In this study we describe the development and characterization of an implantable biosensor for the amperometric detection of brain ethanol in real time. Ten different designs were characterized in vitro in terms of Michaelis–Menten kinetics (VMAX and KM), sensitivity (linear region slope, LOD and LOQ), and electroactive interference blocking. The same parameters were monitored in selected designs up to 28 days after fabrication in order to quantify their stability. Finally, the best performing biosensor design was selected for implantation in the nucleus accumbens and coupled with a previously-developed telemetric device for the real-time monitoring of ethanol in freely moving, untethered rats. Ethanol was then administered systemically to animals, either alone or in combination with ranitidine (an alcohol dehydrogenase inhibitor) while the biosensor signal was continuously recorded. The implanted biosensor, integrated in a low-cost telemetry system, was demonstrated to be a reliable device for the short-time monitoring of exogenous ethanol in brain ECF, and represents a new generation of analytical tools for studying ethanol toxicokinetics and the effect of drugs on brain ethanol levels.